The regular work schedule for many paralegals would be the same as in any office environment–forty hours per week…nine to five. However, many paralegals work overtime, especially when there is a big trial coming up on a brief due. Paralegals are not chained to a desk; they get to go to court and depositions. They also get to visit with clients and witnesses, many times outside of the office. (Remember Erin Brockovich?) As indicated above, the actual work performed each day will depend on what type of paralegal’s office. The great thing about how broad the profession is that it allows paralegals a variety of duties so that they can find a position that enables them never to get bored with their work. These particular responsibilities are for lawyers alone. 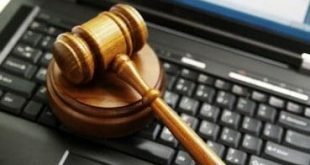 The job description for paralegal doesn’t consist of anything pertaining to providing these services to the clients of the law firm or agency. Interviewing clients: A paralegal can often perform initial client interviews to determine if there is a viable claim for the attorney to examine further. A paralegal can also do a follow-up interview with the client after the attorney has decided to take the case to gather additional information for the attorney. There is also a need to speak with the client during the discovery process to get answers to interrogatories. The paralegal will also usually be the person that gather this information for that attorney. Deadline monitoring: Paralegals take the necessary actions to ensure that the attorney does not miss any time limits. Almost every document filed in a lawsuit has a deadline attached to it. If you miss the deadline, things can get complicated for attorneys. Paralegals can keep the attorney’s deadline calendar and provide reminders for the attorney. Deal with witnesses: Witnesses can make or break a case. Witness statements will need to be taken, and affidavits signed. The attorney does not need to handle these interviews alone because if a witness goes rogue and changes his testimony, the paralegal can serve as a witness as to what the witness previously stated. Also, witnesses will need to be subpoenaed to trials and hearings. Paralegals can handle all these tasks. File organization: Over the course of litigation many documents accumulate. If those documents are left loose in files, it will be very difficult for an attorney to locate critical documents that she needs when she needs them. Keeping files organized systematically, is an essential job function that often gets relegated to the paralegal. 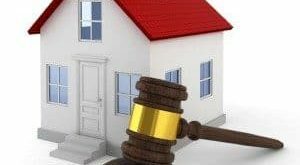 Draft documents: Drafting some essential documents such as divorce agreements, business acquisitions for the attorney’s review is another critical task for paralegals. In every case there are some basic motions that need to be outlined that are more or less cut and paste with revisions to the case style. It’s a better use of the attorney’s time and the client’s money for paralegals to draft this type of documents. Identifying appropriate laws, judicial decisions, legal articles, and other information that is relevant to the case, writing concise reports of anything that was researched and investigated for lawyers to better use in court, preparing draft pleadings and legal arguments for lawsuits, obtaining affidavits, taking notes during trials for attorney’s use, preparing tax returns, establishing trust funds, assisting in last will and testament documents, maintaining financial office documents, coordinating other law office employee activities. To understand about the work performed by paralegals, you may refer to the job description page for more information. Next What Is a Paralegal Job? 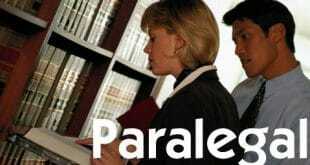 What Is a Paralegal Job?